In this Aug. 13, 2017, file photo, Logan Paul speaks onstage during the Teen Choice Awards 2017 at Galen Center in Los Angeles. In January Paul has dealt with backlash following a December video where he appears to shown a dead body. Paul says some are calling for his own suicide. Last month, he posted video from a forest in Japan with what seemed to be a body hanging from a tree. Youtube has suspended Paul from uploading videos. 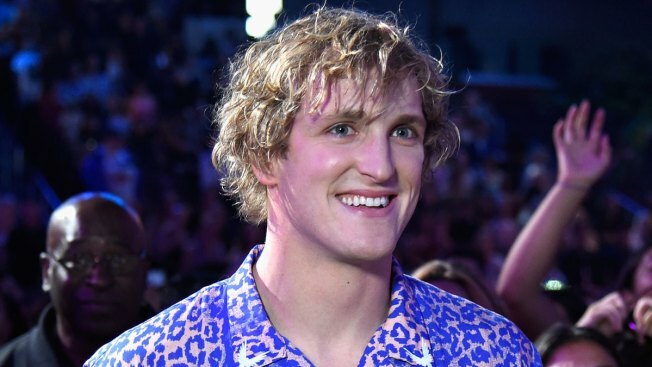 YouTube star Logan Paul describes himself as a "good guy who made a bad decision" when he posted images of what appeared to be a suicide victim online, and says the backlash he's faced includes some calling for his own suicide. In an interview with ABC's "Good Morning America" on Thursday, Paul says that he realizes the impact of his actions, and believes the criticism he has received is fair. Last month, Paul posted video of him in a forest near Mount Fuji in Japan near what seemed to be a body hanging from a tree. YouTube says the images violated its policies and suspended the 22-year-old. Paul called the posting a "horrible lack of judgment." He says he'll "think twice ... maybe three times" about what he posts. Last week, Paul returned to the video sharing platform with a suicide prevention video.